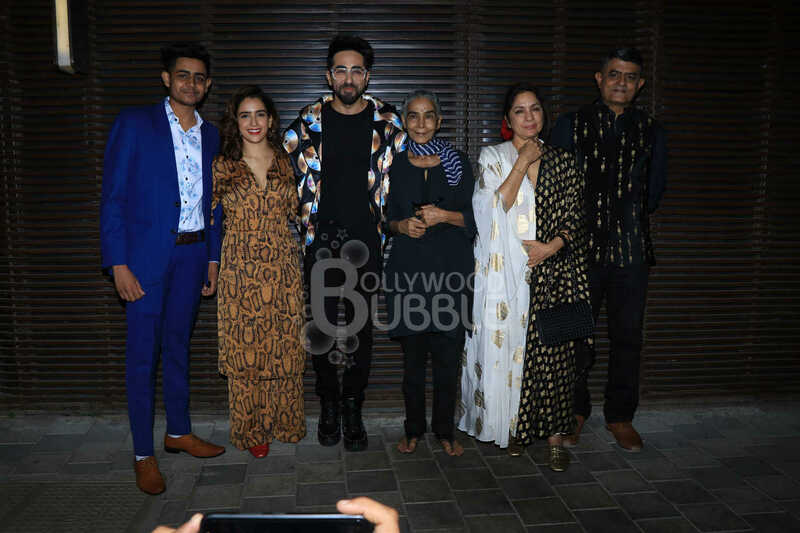 Ayushman looked debonair dressed in a plain black t-shirt and pants that he had paired off with a CD printed blazer. 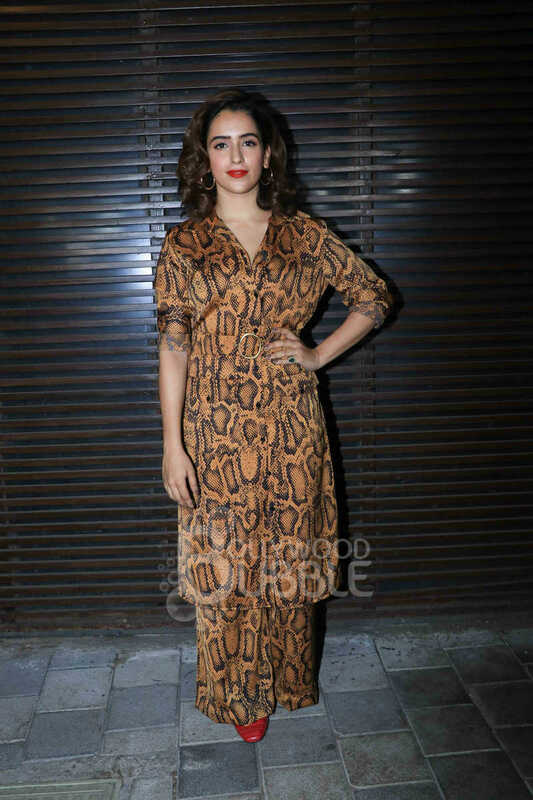 Sanya Malhotra glowed in a snake printed pantsuit that she has paired off with red sandals and a snake printed belt. 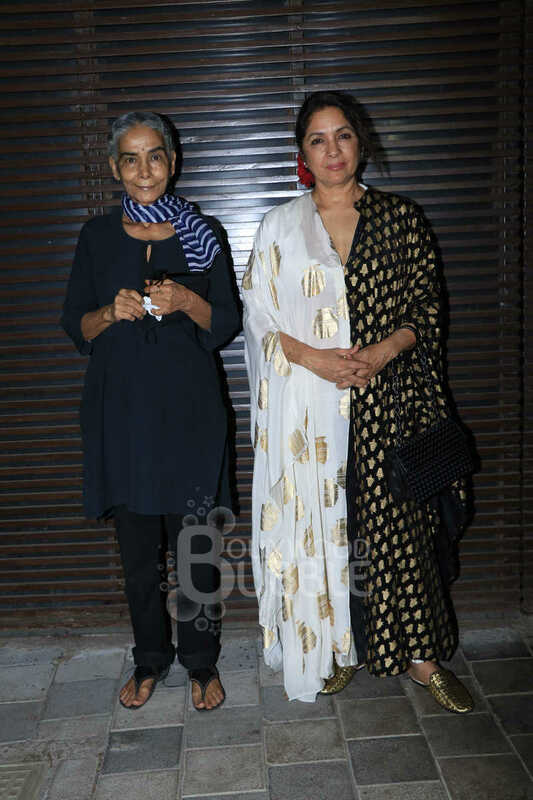 Neena Gupta dressed in a white and gold ensemble with a black stole and golden sandals looked gorgeous as she posed with Surekha Sikri. 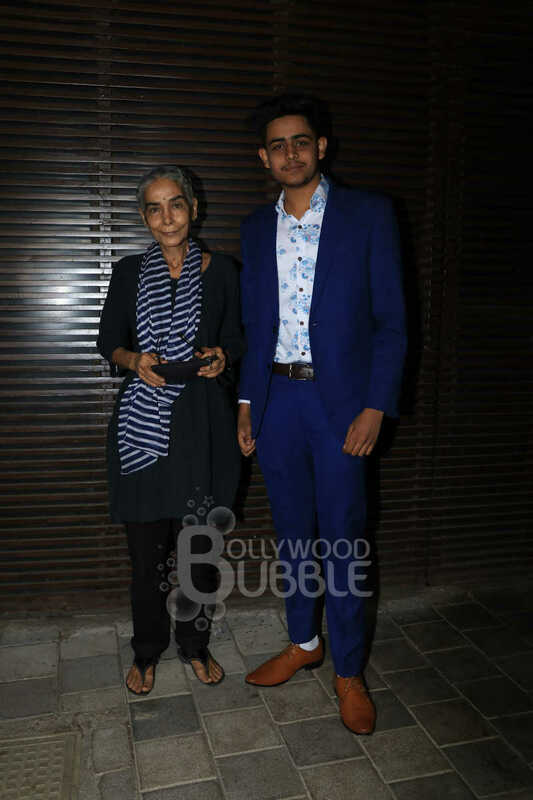 Surekha Sikri posed with her onscreen grandson at the bash. 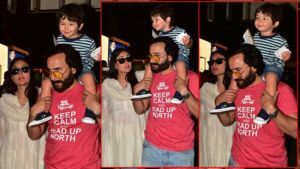 Aparshatki Khurana too joined his brother Ayushmann in the celebrations. Maniesh Paul looked smart in a black and blue combination. 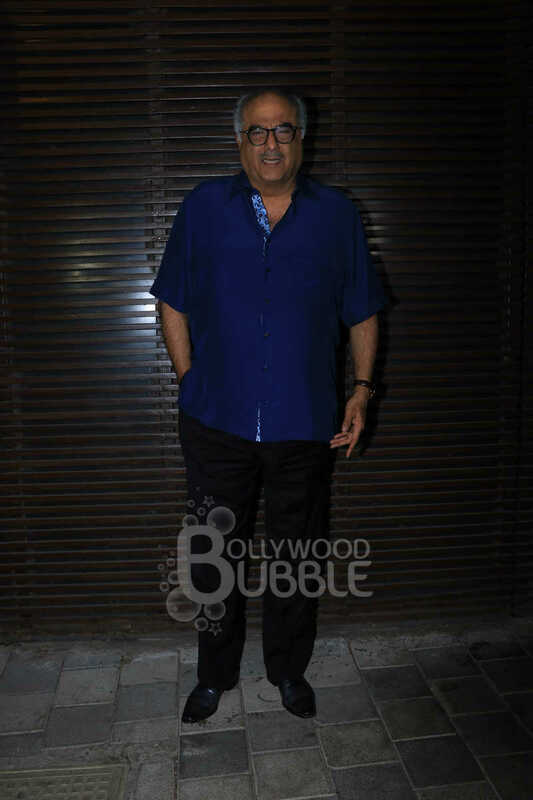 Boney Kapoor posed for the cameras at the success party of 'Badhaai Ho'. 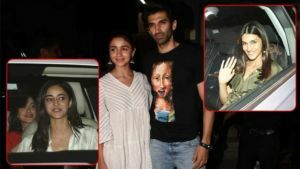 The 'Badhaai Ho' family later also posed together and it was a lovely sight. 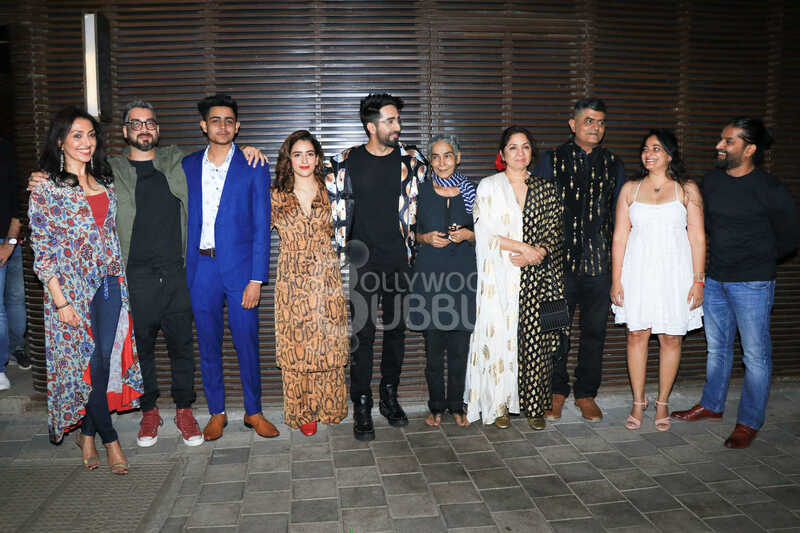 Team of Badhaai Ho at the Success party #BadhaaiHoSuccess From Left _ Co-producer and President, Junglee Pictures- Priti Shahani, Director Amit Sharma, Shardul Rana, Sanya Malhotra, Ayushmann Khurrana, Surekha Sikri, Ne ena Gupta, Gajraj Rao, Producer Aleya Sen and Hemant Bhandari.